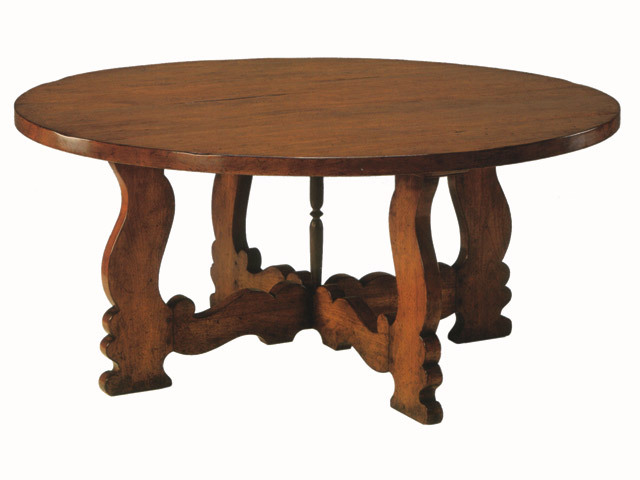 Italian dining table in solid walnut. 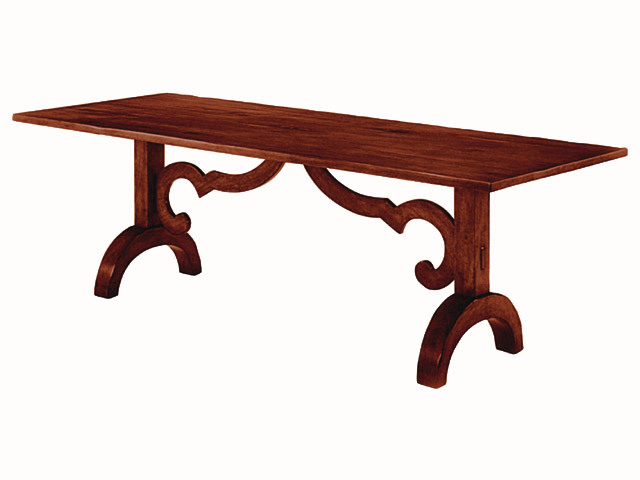 Portugeuese dining table in solid walnut with wrought iron post. 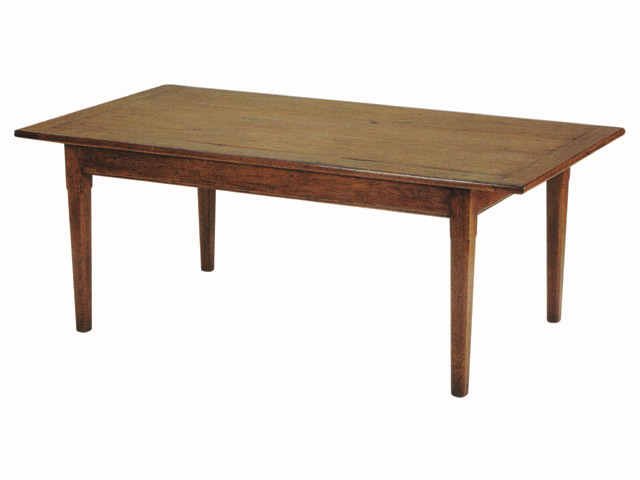 Country Dining Table in Walnut with breadboard end bands. 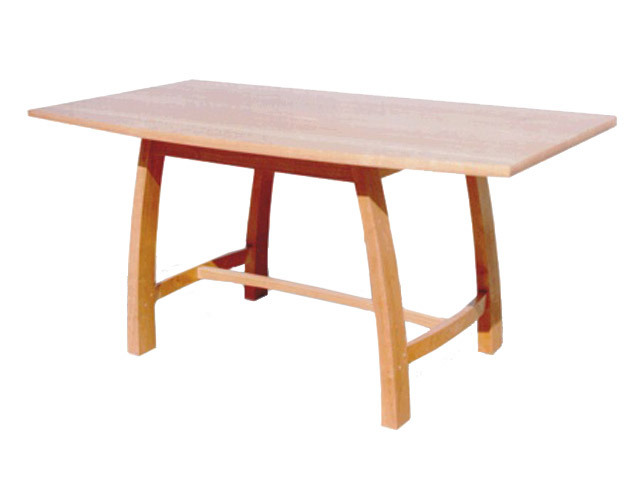 Contemporary dining table in solid Maple. 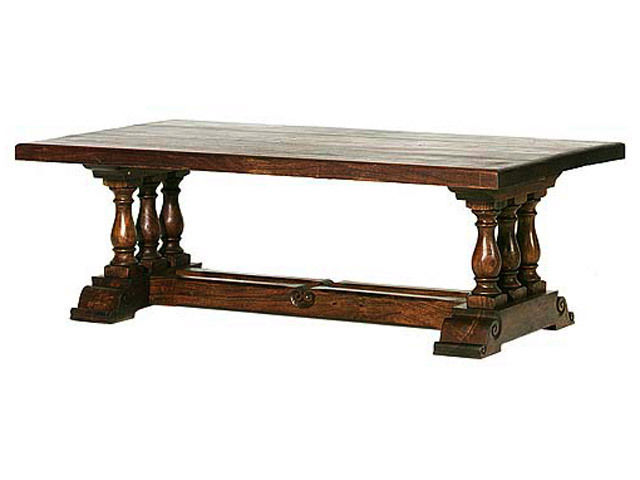 Tuscan dining table in solid walnut.